Posted on June 14, 2016 at 4:49 am. Increased development activity, upgraded infrastructure and employment opportunities are encouraging young residents in the Lennox- Ballina area to look closer to home when buying a new property. Elders Lennox Head principal Michael King said improved lifestyle and economic conditions meant a growing number of local young couples and families were choosing to invest in the region instead of searching for a new home further afield. Mr King said the Lennox-Ballina region currently had numerous active residential developments selling land off-the-plan, giving residents more choice than in previous years, while major road upgrades had made the area even more connected and accessible. “What we’re seeing is more young people choosing to stay in the area they grew up in instead of moving to be closer to work or education, and I think that is a function of the fact that there’s more opportunity here now,” he said. “The Lennox-Ballina region has always had a price point advantage over neighbouring Byron Bay and the Tweed and Gold Coasts, and young people are recognising that it makes sense to stay and take advantage of the growth the region is experiencing. Mr King said the demographic of purchasers in the now sold out first release of Clarence Property’s Epiq Lennox Head community was representative of the region’s increasing appeal to the younger generation. A report shows a third of the first 51 homesites in Epiq were secured by purchasers aged between 20 – 30 years, while 62 percent of all buyers were under 40. The majority (67 percent) were from the Lennox-Ballina region, and 33 percent were first-time buyers. “In previous years residential land has been drip-fed to the market and that has meant prices were often out of reach for entry-level purchasers, but now that larger masterplanned communities like Epiq are on the market homesites are more affordable,” Mr King said. 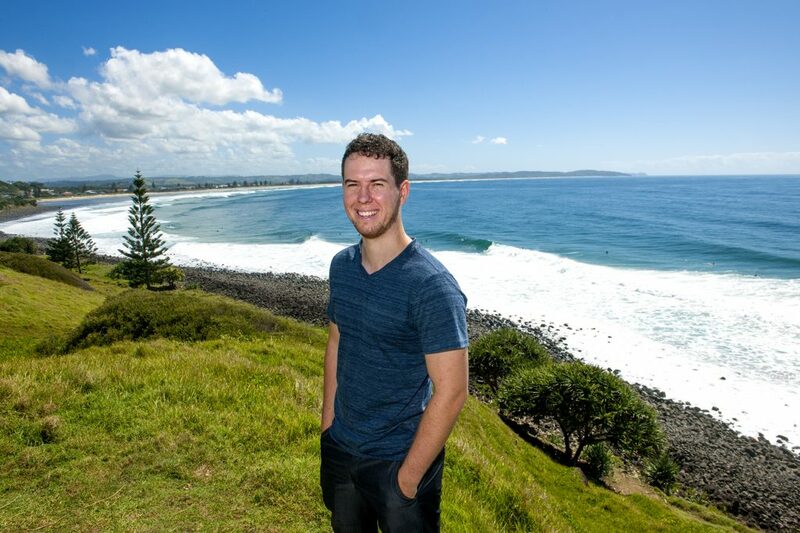 Wes Bale is a 27 year old born and bred Lennox Head local who is an example of the demographic shift in the region. “I grew up in Lennox Head and love the relaxed, beachside lifestyle here,” he said. “When I decided to buy a property I was initially looking at established houses because there wasn’t much else available in Lennox. When land was released at Epiq I realised it made sense to take advantage of the $15,000 first home buyer grant and build a new home to suit my needs.